Summer afternoons can be oppressive, particularly without refreshments. We have a basket that will make any afternoon enjoyable. 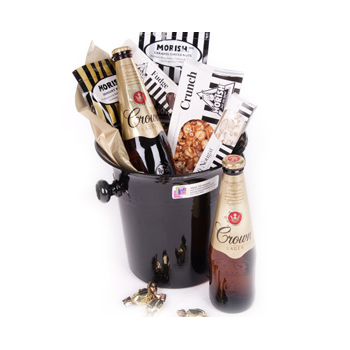 Your recipient will receive 2 stubbies of premium Beer, sweet Caramel Chocolates, a tempting Chocolate Fudge Bar, and more presented in a glossy Beer Bucket just waiting for ice. Take a picnic, celebrate a birthday, or treat yourself with Summer Afternoon.